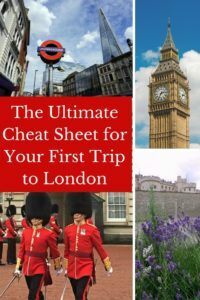 Are you planning your first trip to London? This global city is endlessly popular with travelers from all over the world. With its famous landmarks and iconic sights, the number of things to see and do can easily excite and overwhelm first-time visitors. 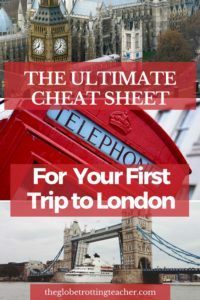 In this post, you’ll find a cheat sheet compiled over 3 separate visits to London packed with information about how to get to London from the airport, where to stay in London, how to get around once you arrive and, best of all, mapped-out London itinerary planning tips. The Tower of London is an absolute must with its thick, ominous walls, dark past, resident black ravens, and informative Beefeaters. The Tower and the nearby Tower Bridge sit stalwartly as a link to the past when Kings and Queens sent prisoners to “think” about their choices and to wait for the inevitable… execution. 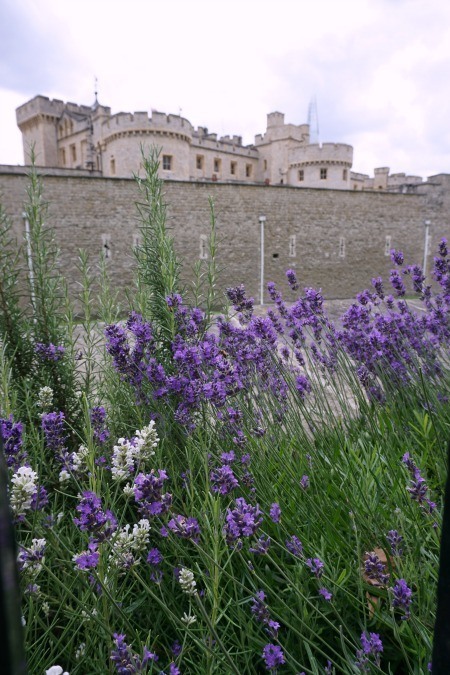 The Tower of London is where Henry the VIII’s executioner beheaded Anne Boleyn and less famous prisoners were hung. The daily traditions involving the Tower of London have continued for hundreds of years so be sure to take a free tour with one of the Beefeater guides who gladly and comically share their vast Tower knowledge. Pro Tip: Arrive in the morning when the Tower first opens. It becomes quite crowded later in the day. Use your London Pass to get Fast Track Entry and save £22.50 for admission. 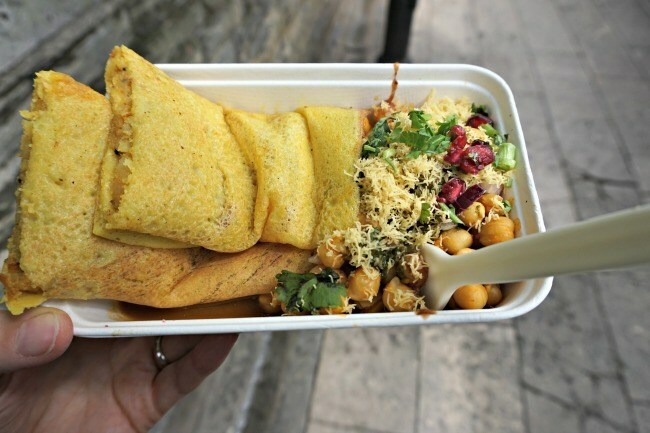 After a morning at the Tower of London, time your escape for lunch at Borough Market. The market lanes are lined with food and grocers selling every imaginable food item. It’s a great place to sample a variety of foods from all types of global cuisines. From famous falafel to perfectly spiced Indian food and huge skillets of paella, you’ll be thankful to visit with an empty stomach on your first trip to London and every time you return! Restaurants and cafes fill the upstairs level and the surrounding streets making this Southwark neighborhood a foodie’s delight. Take the Tube to the Westminster Station in the morning to capture your own iconic photos of Big Ben. Continue on to the nearby Westminster Abbey, which opens to visitors Monday-Saturday at 9:30 a.m. Use your London Pass to admire the architecture and the Abbey’s gorgeous choir room. 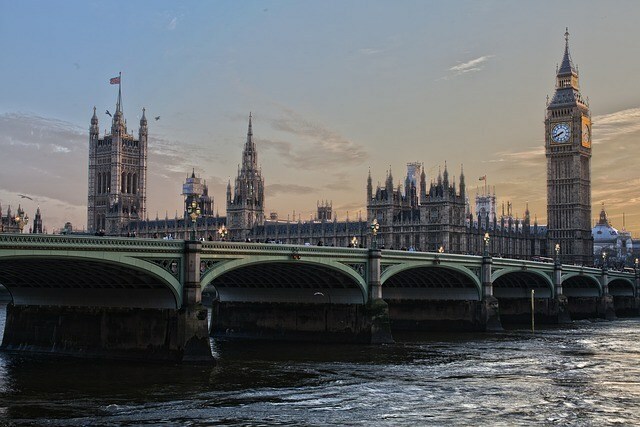 Westminster is also the final resting place of numerous kings, queens, and dignitaries. You can see the monuments in their honor, as well as learn about their place in history. 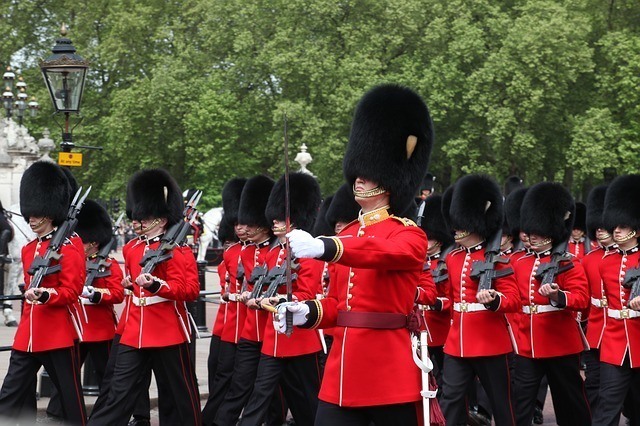 Afterward, make your way to Buckingham Palace where the Changing of the Guards happens. The ceremony is all pomp and fanfare. The Queen’s Guard outside the castle has been on watch for hours and the new guard comes to take over in grand style! A marching brigade of guards along with a mounted cavalry and a marching band head up The Mall and through the palace gates. You’ll have to choose the location you want because it’s typically too crowded to move from place to place. To get a spot along the fence at Buckingham Palace, be prepared to arrive up to an hour early and wait. Pro Tip: Check the Changing of the Guards schedule before you go to make sure the ceremony is planned for the day you intend to visit. When the ceremony is finished, keep those royal juices flowing for a stroll around Hyde Park. It’s one of the largest parks in London, as well as one of the Royal Parks. 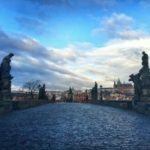 Enjoy its monuments, bridges, fountains, gardens, and lake. 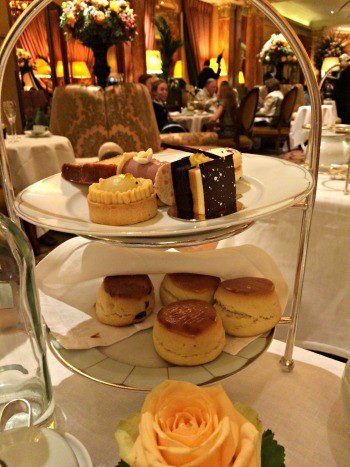 Finish up with a classic afternoon tea experience at The Dorchester Hotel. No doubt, it’s a luxurious splurge, but after having experienced life as a royal, it’s the perfect way to properly finish the experience. From finger sandwiches, scones with clotted cream, sweets, and of course, tea, you’ll have had a quintessential London outing. Pro Tip: If you want to take a ride on the London Eye, it can be included with the stops you make in and around Big Ben. Looking for the best places to stay in London? Research and book fantastic hotels on TripAdvisor and Booking.com. 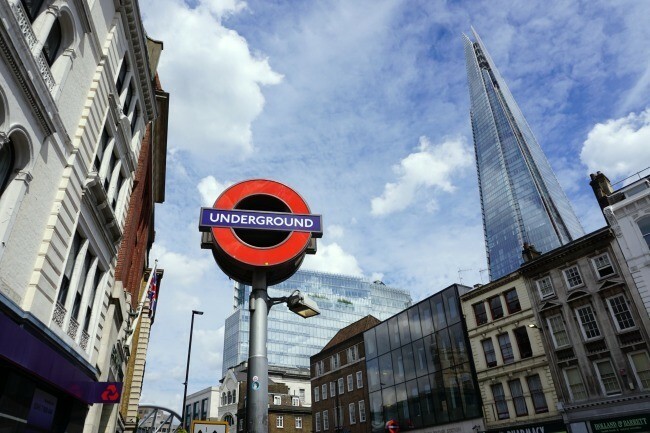 Stay near a Tube Station for easy access to London’s sights. Start off at St. Paul’s Cathedral to admire this Anglican Church’s architecture. You can explore the crypt or head in the opposite direction and climb the dome’s 528 steps for spectacular panoramic London views. Take your time crossing the Millenium Bridge on your way to the Tate Modern and Shakespeare’s Globe Theatre. This is a great spot to watch boat traffic along the River Thames. The Tate Modern underwent an expansion and has a vast permanent collection of modern art by the likes of Henri Matisse and Jackson Pollock, as well temporary exhibitions. There are free guided tours every day and beautiful views looking back on St. Paul’s Cathedral. The nearby Globe Theatre is a replica of Shakespeare’s original which burned in a fire many years ago after the thatched roof was ignited during a production of Henry VIII. 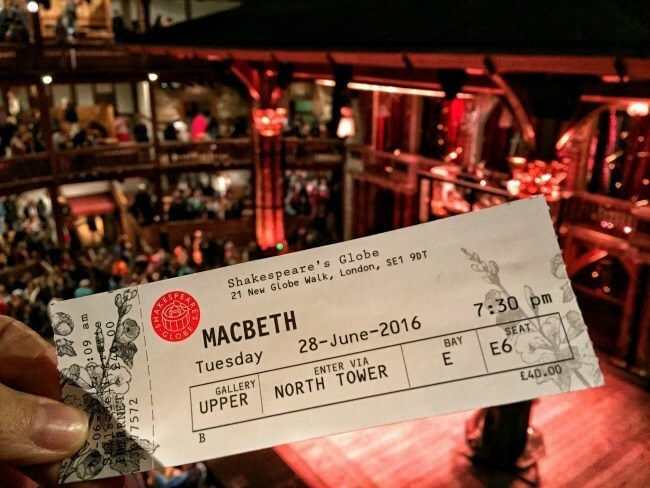 For your first trip to London, you’ll want to use your London Pass to tour the theater during the day and hear about its historic past. The Globe also has evening performances during the spring, summer, and fall seasons. The ambiance of the open-air theater makes for a fantastic night out! Pro Tip: Check tour times for both the Tate Modern and the Globe to plan out your visits accordingly. Globe show tickets sell out so purchase them in advance, especially if you want to see a specific play. No trip to London is complete without a stop at the British Museum. The art and artifacts on display are open free to the public beginning at 10:00 a.m. each day. 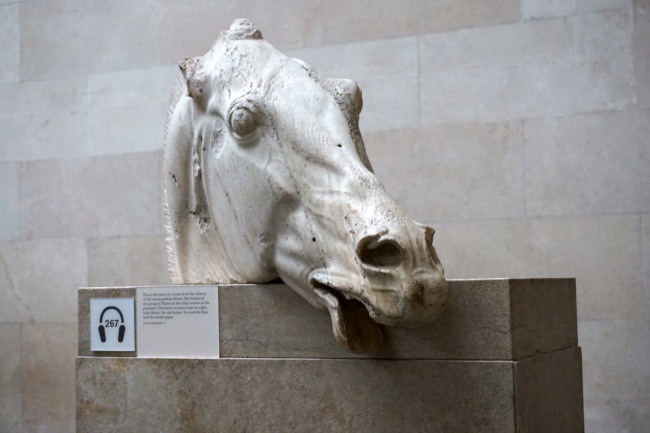 Highlights include the Rosetta Stone, sculptures from the Parthenon, and a vast Egyptian collection including mummies. It’s worth checking for any special, limited-time exhibits during your stay. If there’s one you’d like to see, it’s worth buying tickets online or at the museum when you first arrive. After the museum, spend the afternoon strolling through Covent Garden or head over to Soho and Oxford Street for a shopper’s paradise. You’re sure to find anything you’d want to buy from the numerous chain stores, boutiques, and markets. Pro Tip: There are many classic London pubs in these neighborhoods. 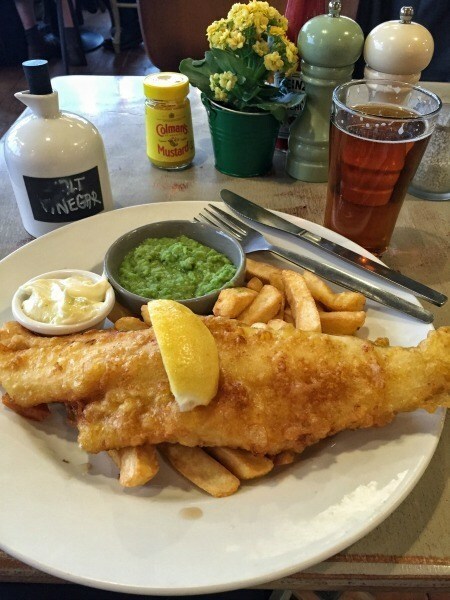 If you haven’t had a plate of fish and chips yet, now’s the time. Make your way to Leicester Square and the heart of London’s Theatre district. It’s super touristy in here, but fun to explore the streets and passageways. If you plan to see a musical or a play later (and you certainly should! ), get your discounted tickets at the TKTS booth right in the square. Finish your walk at Trafalgar Square. This iconic London crossroads has monuments, historic buildings, museums, and street performers. It’s an absolute beehive of activity and perfect for taking more classic London photos. With any luck, you’ll have time to check out the National Gallery right in Trafalgar Square which houses famous paintings by the likes of Vermeer, Monet, Rembrandt, Cezanne, and Leonardo Da Vinci. 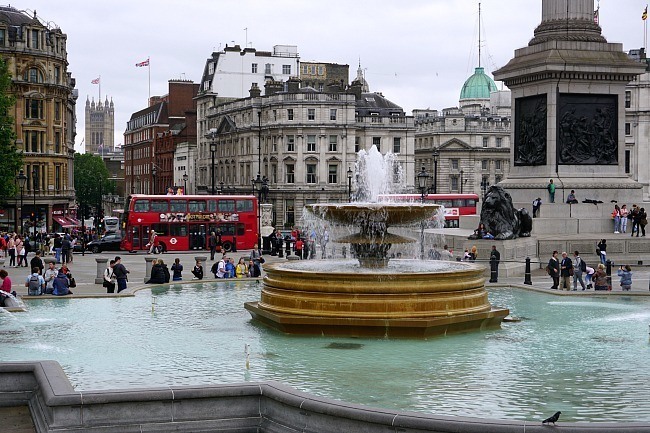 Best of all, it’s free to visit, and you can use your London Pass Hop On Hop Off double-decker bus ticket to reposition yourself closer to your hotel when you’re done. Are you traveling with a wannabe wizard dying for a Hogwart’s adventure? Plan a visit to the Harry Potter and Warner Brothers Studio. Buses leave from Central London and travel to the magical sets of the famed movie and book series. You’ll have 4 hours to see places like the Great Hall, Dumbledore’s Office, Diagon Alley, and more! Plus, get to see some of the most famous props and the costumes worn by Harry, Ron, and Hermione. If you’ve wanted to visit Platform 9 ¾, ride the Hogwarts Express and attempt to ride a broomstick, then you definitely don’t want to miss escaping the world of Muggles for just a bit on your visit to London! If you’re traveling as a family or with a group, private transfers to the studios are available. 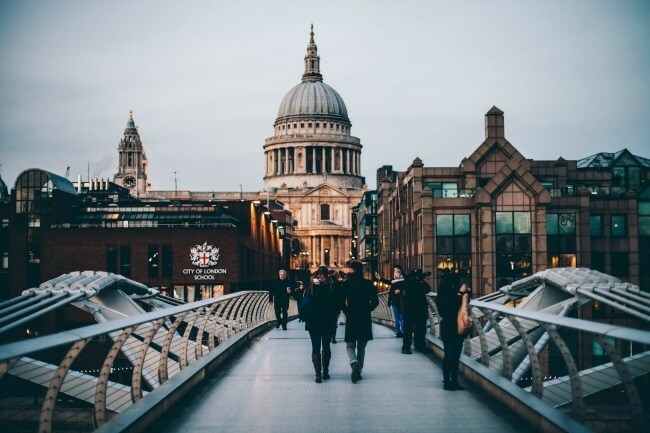 Whether you’re spending a week, 4 days in London, or just need a London itinerary for 2 days, choose the activities that are right for you and don’t be afraid to go off the beaten path. London is a great city to explore. It’s also the perfect jumping off point for future trips to Europe. It’s not complicated to add a couple of days in London as a stopover before continuing on to your final destination or heading back to North America. Trains run from London to both Windsor Castle and Hampton Court Palace. They each are worthy of their own half-day visit. The exquisite state rooms at Windsor Castle are open to the public when the Queen is not in residence. St. George’s Chapel, within the grounds of Windsor Castle, is the final resting spot of Henry VIII and several other Kings and Queens. Hampton Court Palace is full of Tudor history, as it was a regular stop for Henry the VIII and his royal court. The palace creates a historical experience by revealing the inner workings of how the palace operated in its heyday. 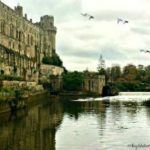 Look out for the King himself, as visitors can watch the King interact with Anne Boleyn or flirt with his soon-to-be next wife, Jane Seymour. Leave some time for the palace’s gardens and maze. 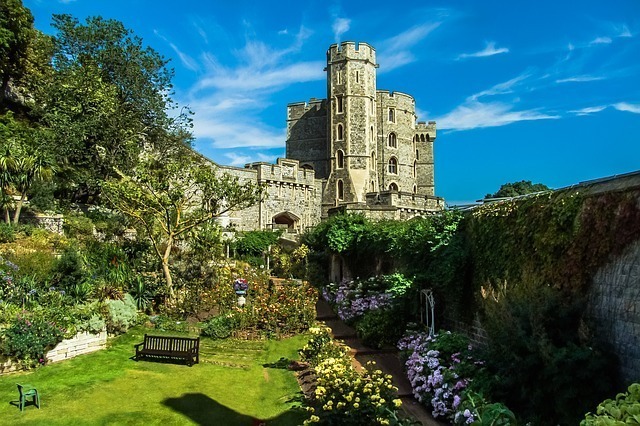 Pro Tip: Windsor Castle and Hampton Court Palace are both included with the London Pass. Get Fast Track Entry at Hampton Court! 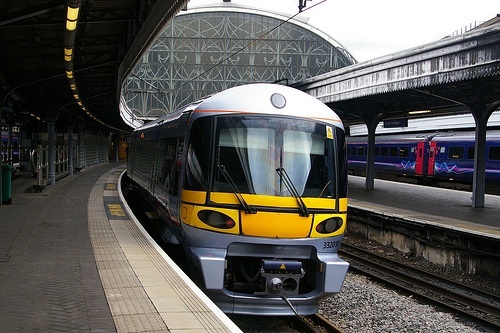 The Heathrow Express is a quick and efficient way to get into the city from Heathrow Airport. The train leaves every 15 minutes and arrives in just about the same time to Paddington Station. Gatwick Airport also has an express train which arrives at Victoria Station. Trains run every 15 minutes and take a half hour to reach London. Both express trains offer considerable discounts for booking online and ahead of time. Both airports also have commuter trains, buses, and taxis to get you into London. Except for the taxis, these options are less expensive than the express trains mentioned above but do take more time. You can check prices and schedules for Heathrow Connect trains or Southern Railways from Gatwick to compare. 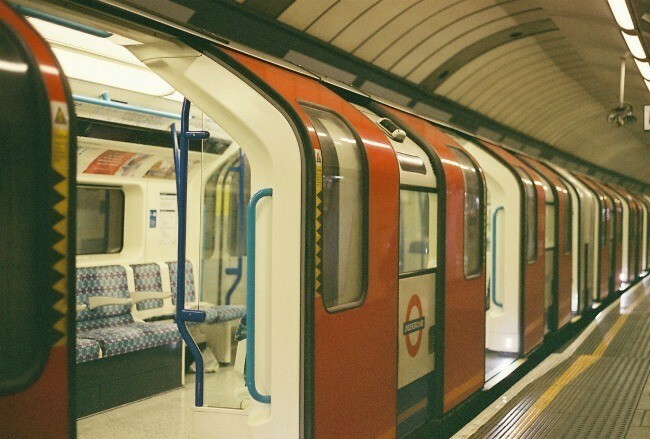 From Paddington and Victoria, you’ll have access to the London Tube with lines spreading across the city, as well as a taxi queue at ground level. Most taxis take credit cards but be aware of the occasional cash-only sign in a taxi’s window. Pro Tip: Splurge on an express train, if you can, for a quick and easy trip. Then, use the Tube from Paddington or Victoria to get to your hotel in order to avoid London traffic and an expensive taxi ride. If you’d prefer to arrange transportation, consider an airport shuttle to transfer to the city. It comes with the convenience of not having to manage the trains and is more affordable than taking a taxi from the airport. London’s Tube is reliable and easy to navigate. The announcements are clear and visitors will find they can access pretty much everywhere they’re likely to visit. Taxis are expensive and London traffic is heavy. It’s best to go underground to save time, money, and patience. Visitors staying for a few days should get an Oyster Card for easy use and refills in the Tube. Your Oyster Card is good for your first trip to London and every return trip thereafter! If it makes sense for your time in London, add an Oyster Card to your London Pass purchase to bundle the savings. London is also pedestrian-friendly, especially along the Thames. The Riverwalk is a clear path connected with several bridges to help you cross to the other side. London’s neighborhoods and districts each have their own unique charm and flavor. The most important thing when choosing where to stay in London, be it a hotel or Airbnb, is to stay somewhere with convenient access to the Tube. Below, I’ve shared several hotels where I’ve stayed. They’re all in different neighborhoods, yet all of them had convenient Tube access. If you have hotel points to use, check AwardMapper for loyalty program hotels in London and how many points you’ll need per night. I’ve had excellent points and paid stays at the following London hotels. The Sumner Hotel – A quaint, mid-priced townhouse hotel near Marble Arch and Hyde Park with comfortable rooms and a super attentive staff. 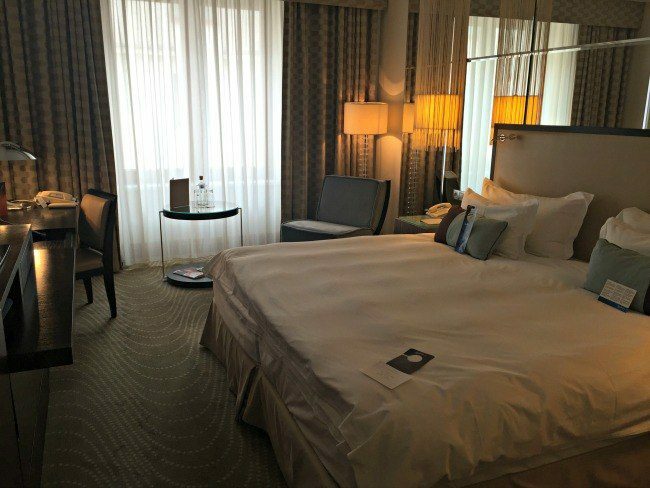 Radisson Blu Edwardian Mercer Street Hotel – The hotel is located near Covent Garden, the West End’s Theatre district, pubs, and my favorite Indian restaurant, Dishoom. Rooms are a classic modern boutique style for which Radisson Blu hotels are known. The May Fair Hotel – An upscale hotel in the quieter Mayfair neighborhood. The Green Park Tube station is steps away and Buckingham Palace a short walk. Holiday Inn Express London-Southwark – Just a 10-minute walk to Borough Market or the Globe Theatre, with a Tube station nearby. You can also search for more fantastic London hotels on TripAdvisor and Booking.com. In addition to spending time at Borough Market with an empty stomach, here are a few quintessential food experiences not to be missed on a London visit. Indian Food- Dishoom is my favorite Indian Restaurant in London! British Pies- Visit the Pieminster at Gabriel’s Wharf. So, have you traveled to London? What have I missed? What tip do you recommend for a first trip to London? 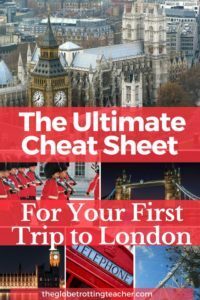 I have been to London several times, but I found your guide and itineraries very helpful! Thanks for reading and sharing on Pinterest, Natalia. 🙂 Here’s to hoping you make it back to London soon! Love the Pro Tops plus how you broke each day down into categories. What a great way to see London! I also like how you included things to see if it is your first time there. Going anywhere for the first time can be so overwhelming! Especially in a big place like London, Bryanna. It’s nice to break it up and make the most of your time. You made me want to visit London again! Love the way you divided the itinerary with themes and suggestions for good food. London is such a huge city and planning a trip there for the first time can be overwhelming, you just make it so easy! I’ve been to London a few times, but I’ve never made it to the Windsor Castle or the Hampton Court Palace. 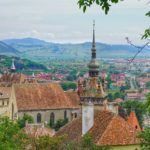 There is just so much to do in the city and its surroundings, but you’ve highlighted the must-sees in a very comprehensive and informative post. I’d love to go back and take more advantage of the free museums, especially the National Gallery! 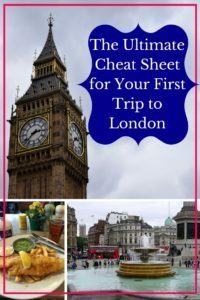 Wish I had your cheat-sheet on m first trip to London! You certainly covered all the hot spots and then some. I can’t wait to go back and hit the places I missed. Loved your tips! I’ve pinned and will reference during my London trip planning. Can you share a bit more about the oyster card? I love the addition of the pro tips, especially times of day best to visit. I do love London, but timed a few things wrong, ending up in bigger crowds than I like. Hi Jackie! Any tips for going to London with a toddler? 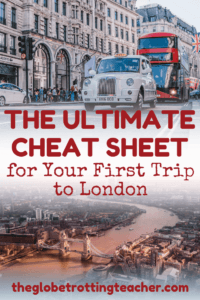 Going to London this Wednesday and I’m going to use your cheat sheet! Thanks! Awesome, thank you for this! I printed out your cheat sheet & 8′ using it for our guide! Thanks! Great! Hope you have a fantastic trip, Jen! I’m actually from London, yes all these places are great, but you haven’t mentioned how expensive they can be. Most museums and art galleries are free and fantastic but eating at fancy hotels is only for the rich! 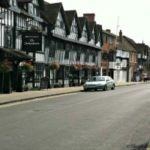 Try to go to restaurants and pubs that are not in the tourist areas and you’ll be much better value for your money. As for traditional fish and chips, there is a great place in Waterloo road called Superfish. It’s the best around and very reasonable. Lots of London Taxi drivers eat there, so you know it’s good! Hi, thank you for your tips. We’re going to London ne te may, my husband and I. Do you recommend Stonehenge ? There are some great tips here. I’m planning a trip to London during the high season with a variety of ages from grandmother, 4x 30 year olds, 4 kids between the ages of 8-3, and 2 newborns. Aiaiai. Just trying to get a place to eat together will be challenging. I loved your tips about the Oyster card, and pre-booking tickets, It saves lots of time to book in advance so that you are not waiting in line for tickets, and then waiting in another line for entry. Depending on how early you book it also puts that block of tickets on separate credit card bill instead of all at once. Just a tip from how I travel with all the children and trying to be budget concsious, I usually stop in a local grocery store and grab the 3 (pound, I don’t have the symbol on my keyboard) meal deal, Its filling and usually healthy. If you have any more kid friendly tips I’d love to hear them. Thanks for the guide, I found you on Pintrest, and will make sure to repin. Thanks for reading, Erin, and for repinning on Pinterest. I appreciate it. 🙂 Sounds like your trip is set to make some amazing multi-generational memories. Thanks for sharing your food tip. London has great parks to make use of when the kids need a break. Hyde Park has paddle boats for rent and a great playground and fountain. St. James Park also has a popular playground. Enjoy your trip! Do you have more ideas? We will be in London for 10 days. We will do all you mention but we need more? Hi June, Thanks so much for reading and so exciting about your upcoming trip to London! 🙂 A couple other sites/places I’d recommend is Kensington Palace and if you’re at all a history buff, the Churchill War Rooms. If you’re doing all of that plus these last 2, check out the London Pass to save some money. Also, check out Free Tours by Foot and Sandeman’s free walking tours. If you’re interested in street art and/or learning more about London’s ethnic food scene check out a tour in the Shoreditch neighborhood. With 10 days, you can also plan day trips out of the city if you want. The Cotswolds Warwick Castle, and/or Stratford upon Avon are just a couple of hours drive, as are Stonehenge and Bath. Even Paris is a doable day trip with the Chunnel train taking just 2ish hours. Good luck and enjoy your trip! Thanks for the tip about the London Pass! We went last year and no one told us about it, and we are going back in October and still want to do many of the activities included in the pass. Sounds like a great value! The best North Indian food is in southall (West London), trains run from Paddington. Brilliant Restaurant highly recommended..
It’s ravens that you find at the Tower of London, not crows! Thanks for your post; definitely adding it to my Pinterest board. I’m heading there for Spring Break with my husband and three teenage girls. We have eight days (flying into Gatwick and out of Paris-CDG). 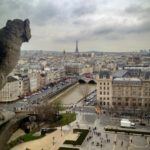 How do you suggest we split the days between London and Paris? And what would your top recommendations be? Thank you for this cheat sheet. Great tips and ideas. My best friend and I are traveling to Europe for our 40th birthdays in March. We are spending about 2 1/2 days in London. It seems you were recommended traveling by way of the tube for most everything. I had been looking at the Hop On and Off Bus before reading your cheat sheet. Would you recommend skipping the bus and just using the tube? Thanks for reading. London is such a great city for a friends birthday trip! I would still recommend the Tube. The traffic in London can be horrible and Hop on Hop off buses can get stuck in it with the rest of the vehicles. With 2 1/2 days, getting underground will help you maximize your time getting from place to place. Do you have any recommendations for visiting in December (just prior to Christmastime)? My family and I will be arriving on a Monday and departing on Thursday (for Germany), flying in and out of Stansted. It will be myself, my husband, and our 2 kids, ages 20 and (will turn while we’re in London) 17 year old (boy and girl). My husband is normally into things like the museums, but he’s the type that would need several days in any one museum (he literally reads each and every plaque, and doesn’t miss a display, LOL). So, because we’re limited on time, we’ll probably skip museums until another time. My husband and I are doing Harry Potter/WB Studios on Tuesday (I’m a big fan, kids not so much) and we’re letting them go off on their own. Will definitely be getting Oyster Cards. Any other recommendations, especially since will will be cold weather? Thanks! Thanks for reading, Cammi. I’d definitely try and see a show, be it one in the west end or a special Christmas themed show or concert. I’d also like to see the seasonal attractions like the winter wonderland in Hyde Park and all the lights around the city. I’m a cold weather gal so I love to get outside. But just in case of super cold weather, I’d have 1 museum in mind just as a back up if you need to warm up. Not sure if your hubby has seen the Churchill War rooms not far from Westminster, but I highly recommend. Enjoy your trip! My husband and I leave for our first ever trip abroad, London, in less than a week! The ironic and very strange thing is that as soon as I read the title of our article was that the authors last name is Sills. That is MY maiden name and some of my father’s family still lives in England! Dad himself, Charles Sills, was actually born in London! We will be visiting some Sills relatives in Suffolk on our trip! Anyway, thanks for the great articles! Thanks for reading and omg! My maiden name is Sills as well! I have done a ton of family research but always run into a dead end trying to figure out more about the George Sills who came over from England to the U.S. back in the 1800s. That’s so amazing you’ll be combining your tip with some ancestry travel. I hope you have a great trip and enjoy meeting your relatives! Nice tips overall. Anyway, thanks for the great articles! 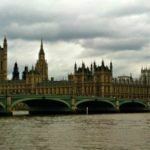 I must say this is an ultimate post for travelers who are looking for trip to London at affordable cost. You have covered everything in your post such as best places to stay, which is really helpful. Thanks for reading, Sandeep. Happy travels to London! Your blog is amazing – thanks for all the incredible ideas. We are considering going to London for Spring Break (March 8-17, 2019). Would you recommend going at his time ….will the weather be agreeable? Thanks for reading, Stacey, and for your kind words. So, it’ll likely still be chilly, but I’d say yes, go! Take this with the knowledge that I live in NYC and walk around in all kinds of weather and that I love visiting Europe in the off-season. I’d rather have cooler temps and fewer crowds. Plus, with London’s Underground/Subway, you can so easily pop underground and get around if you needed to escape the weather for a bit. Not to mention with delicious tea, scones, English pies, and Indian food, there’s plenty to warm you up! 🙂 Thanks again for reading. Going to the Harry Potter Studios by bus from Central London is the silliest thing to do. It takes too long AND you can only stay at the studios until the time your bus would take you back (about 4 hours) – not enough time for a true Harry Potter fan. It is fastest and easiest to go by train from Euston Station to Watford Junction (Oyster can be used) and takes about 30minutes. The studio has buses at Watford Junction to take you there – it takes just about 10 minutes. We stayed over 7 hours at the studios – my kids would start a riot if we had to leave after some 4 hours only! Your blog is amazing. How do I download the cheat sheet?? Thanks so much for reading, Alison. All you need to do is fill in the fields on the cheat sheet sign up box. It’ll get sent to you. 🙂 So glad the blog has been helpful for you. If you have enough time you should certainly consider Kew Gardens and Greenwich. You can take the clipper down the river to Greenwich. Also Kenwood is free to visit and set in beautiful grounds on Hampstead Heath. Don’t pay to go up the Shard. Book the free tickets for Skygarden three weeks ahead. Or go up the tower at Tate Modern. Children like all these places but as other people have said the parks are lovely and all different. It’s lovely to see this thread still working and growing after such a long time. Well done!!! Thanks for reading and sharing your London tips, Marian! I didn’t know that about the Shard! The Dorchester is indeed a great hotel, but the very best Afternoon Tea has to be the Ritz.